Hey folks! Been a minute since I visited you guys and gals. Figured I'd share a pic of my Washburn family with y'all. This thing was the first bass I ever got and I've loved it the entire time. Upgraded the wiring and hardware, played in a couple bands with it. I've had guys offer to trade me $600 bass guitars for this thing. As far as a workhorse bass I couldn't ask for better. Picked this thing up used at a pawn shop years ago because I hated tuning my 4 string low. It quickly became the guitar I reached for when needing to track bass in the studio. I'd been wanting a seven string Washburn since I discovered 7s were a thing. Finally found this one at a music shop used and in poor condition. Paid next to nothing for it, took it home, did a complete setup on it, rewired it, put fresh strings on it. Previous owner had dropped an SD Invader in the bridge which sounded way too tinny for my tastes. Recently dropped an Atlas pup in the bridge and man this thing screams. It's my default lead tracking guitar in the studio and the one I play the most live as a rhythm player in my band. This is the first guitar I ever owned. My parents bought it for me as a gift when I was 12 and it sat in my closet until I was around 15. Eventually learned to play on it and got an Invader pickup installed. Tracked my first two records on this thing and it rarely ever leaves the studio these days. Aside from the SD Invader, it's completely stock to the point I got a locking strap so I wouldn't have to swap out the strap buttons. This is the guitar to blame for my love of Washburns. Washburn Dealers Section / 7 string? So my band is wanting to switch things up here soon, and truthfully so do i, and I really wanna get a seven string Washburn. Does anyone have one for sale or know where I can find one? I live in the U.S. so I would prefer to buy from here. 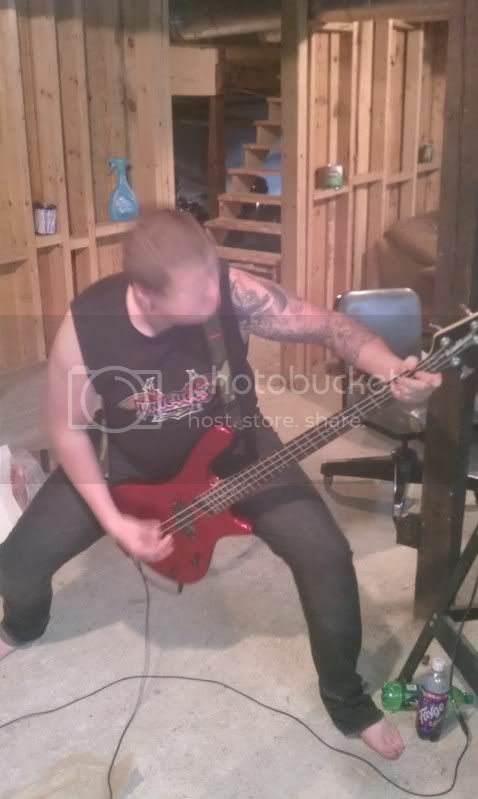 Some pictures taken of me with my Washburn T12 at band practice two nights ago. Running it through an old Crate 70W for practice. Main rig is a Berhinger 4x10 cab. Love this bass. I picked it up for a real good price. I've had dudes that play $600 bass guitars try to trade me for it. Oddly enough everyone I've met that plays a Schecter bass prefers mine, haha. *Note: No my bass isn't plugged into the Line6. That's my guitarist's amp. The Crate is on the floor next to the stand. General Discussion / How does the XM Pro2F Stack Up? Since my last guitar purchase two years ago, I've really learned about what I want in a guitar. Three basic needs are 1.) Mahogany body 2.) String thru body 3.) Neck-Thru-Construction. Now I play only Washburns and ESP/LTDs and I have found the seemingly perfect guitar from both companies. LTD has the MH-350NT. Washburn's version of what I want seems to be the XM PRO2F. Now I'm really leaning toward the Washburn XM because it has the passive pick-ups, which I have a heavy preference for, and hey...It's a Washburn, haha. My only issue is that I have played the LTD MH-350NT and I frickin' love it. Smooth as butter, looks and sounds great. 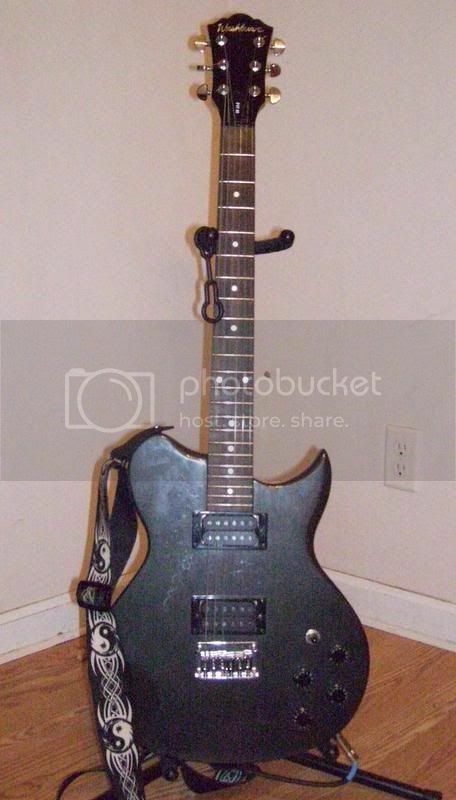 I have not been able to find a Washburn XM PRO2F to test drive. Both are in the same price range, and meet my three basic features, but they also seem to have some different features unique to themselves. I'm wanting to know how well they stack up against each other and if anyone has played or owns the Washburn XM PRO2F, how does it play, how easy is it to set up, how thin is the neck on the XM, how does it sound, how's the clean sound? Does anyone know a place in the Birmingham area where I can actually get my mitts on one of them? Thanks for reading this long frickin' post. 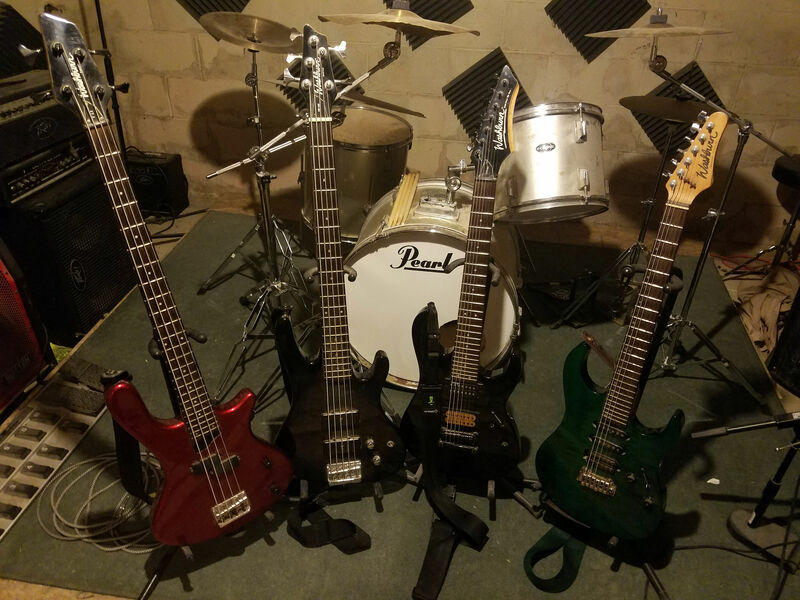 I own a Washburn Mercury II that I picked up about 6 years ago and a Washburn Taurus 12 model 4-string bass that I adore. I just bought a WI14 for a damn good price. It's shaping up to be a great guitar so far. I picked up my Mercury II about 6 years ago from a friend for $100. When I did, I knew nothing about playing guitar. This is the one I taught myself on and the one I use in shows. I use the Boss MT-2 pedal and a Digitech Death Metal pedal with her. I have been drooling over the Taurus 12 and the 14 for over two years. So when I saw this T12 at a pawn shop for $120, I leaped. I'm glad I did since she is sooo easy to play. I barely have to touch the frets. 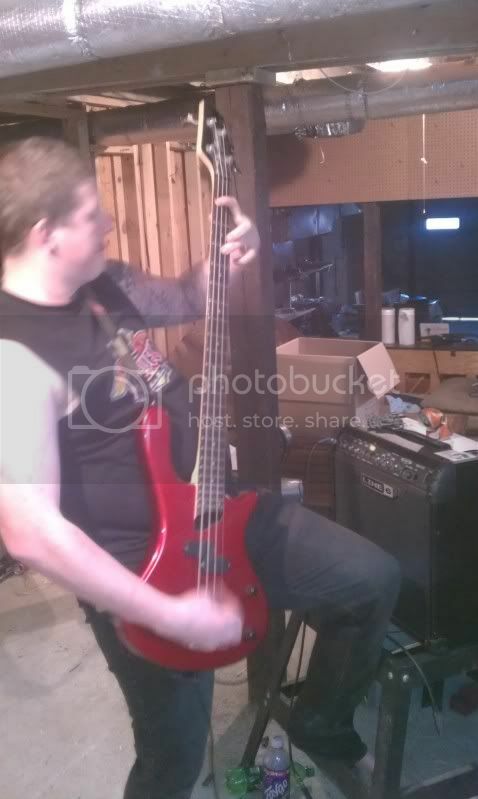 Our bassist abandoned his Ibanez bass and plays my T12 at shows. No lie! Very rarely do I use distortion on my lovely lady here, but when I do, a simple Boss DS-1 does a fine job.